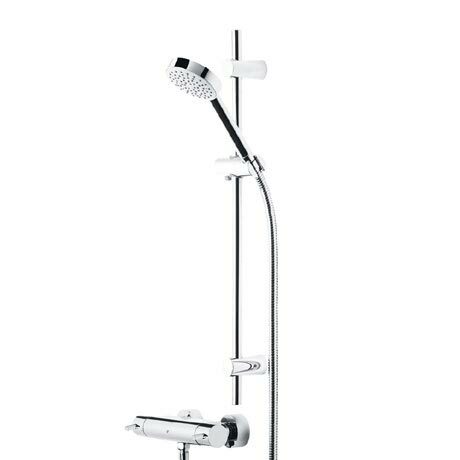 The Storm Exposed Single Function Shower System is both reliable and stylish and delivers a superb showering experience. Suitable for all plumbing systems with a minimum pressure of 0.2 bar the shower valve is also resistant to limescale build up. Package includes a thermostatic bottom outlet bar valve, a bar valve quick fixing kit, Wave slide rail, round single function shower handset and a shower hose.